Disorganized? Missing Deadlines? Working Hard But Nothing Gets Done? That feeling in the pit of your stomach when a deadline is around the corner, you've missed milestones, and you're frustrated because more work is being added every day than can get done. Or feeling like a waiter, running from table to table, helping everyone but getting nothing done. Whether you're working on your own or with a team, it's hard to know how long things will take to get done and impossible to anticipate the problems you run into. It's challenging to focus. Your time is not controlled. You have too many projects. You have trouble prioritizing and meeting deadlines. It all results in stress and delays. But what if I told you it wasn't your fault? What if I told you it doesn't have to be that way? What if I told you it was possible to get your projects organized and your goals, tasks, and deadlines under control? What if I told you that it's possible to effortlessly produce consistent results, build a solid plan for execution, and deliver your projects on schedule and under budget time and time again? The truth is, waking up early, eating protein, etc. won't help you get your projects done on time. You need to understand the true reasons projects fail. You need to understand why every project is a struggle to prioritize and deliver. You need to understand the tools and methodologies that successful, organized, productive people and companies use to finish projects, accomplish their goals, deliver products, and get $%!# done. Around a decade ago, I chose to stop living in chaos and get myself and my team organized. I developed certain skills that allowed me to get a project done while saving money, saving time, and getting massive help from my team. And you know what? These lessons and skills changed everything. They changed everything in my company AND entire career for the better. My team and I started delivering on our promises. We started seeing our ideas turn to reality. In short, we started succeeding. Fast forward 10 years and there is no doubt that these lessons boosted my career. But even more so, I was able to build these lessons into a system that made me more effective in my personal and entrepreneurial life. The plain-english organization and planning course that will give you the processes, tools, and techniques to be an efficient, relaxed, productive doer who gets $%#@ done and gets your business results. Get organized, build a plan, manage your stakeholders, avoid risks, and FORCE your next project to succeed. We cover the 5 critical knowledge areas of starting, planning, executing, and closing a project successfully (that means, on time, under budget, and without all the headaches and stress). Solidify the fundamentals of project management after each lesson with a quiz or activity (sometimes both). We'll give you our Project Management Toolkit with a quick reference guide and 7 templates to streamline your next project, and every project in the future. Move through the lessons at your own pace, on your own time, anywhere with a web browser and an internet connection. Don't like the course? Email us and we'll send you your money back PLUS a $10 Starbucks gift card! My name is Michael Mehlberg, 10+ year veteran of organizing and keeping business on track and a certified Agile Project Manager (Scrum Master). My trainer, Seth Sinclair, is a certified Project Management Professional and recently served as a coach reviewer for George Mason’s Leadership Coaching for Organizational Performance program. Between the two of us, we have over 25 years teaching and managing project best practices, and we’ve helped countless organizations get organized, build a process, and lead their teams to success. By sharing our system with you, we’ll take you on a path to living and seeing the same success we’ve seen for yourself. This is not like any of the boring project management books on the market (believe me, we've read them all)... If you're looking for something that doesn't read like a college textbook, this course is for you. When we assembled this course, we wanted to teach you quickly, and get out of your way. After all, you can't spend forever learning. So we'll teach you what you need to know, and get you back to actually working, and quickly. That's why our course is short. Just 4 hours of video lessons. No single lesson longer than 1 hour (most are 30 minutes). And each lesson gets right to the point--no fluff, and impactful. In it, we cover the 5 major activities professional Project Managers use to build products, finish tasks, and generally crush their goals. Complete them at your leisure. Reference them anytime. How to build a plan that moves you closer to your end goal, step-by-step, day-by-day... even how to identify a "critical path" of activities that MUST be done for your projects to succeed. What you should be doing when your project is underway, and how you can make sure it gets executed on time and under budget. Why (and how) you should be monitoring your project such that you know at any moment whether your project is on track (and what to do if you find it isn't). Ensuring you don't overspend, overcommit, or even overdeliver while ensuring the highest quality output from your day. Bringing a project to close doesn't just mean stop working... you'll see what to do to ensure you learn from mistakes and set future projects up for success. We're Including Our Project Mastery Toolkit as an Added Bonus. After all... Learning project management is one thing. Having the right tools available to reproduce success in every project is another. That's why we're including more than just training. Our Project Mastery Toolkit, included as a free bonus with this course, is full of templates and checklists. Because we want you to always kick off your next project on the right foot. We want you to never question whether you've missed a key step that could derail your project. A Project Management Quick Reference Guide with key questions for each phase of your project so you can get new projects off the ground quickly. A Project Charter Template to help you identify and anticipate problems that will hold you back and risks that will set you back. A Stakeholder Influence Template so you can find the people who can help your project succeed, and steer clear of people who will hold your project back. A Project Schedule Template with Work Breakdown Structure to make it absolutely clear who is responsible for which tasks, due dates, and status updates. A Risk Plan Matrix and Prioritization Template to help you devise a plan to prevent unforeseen problems from derailing your project. A Team Staffing Plan Template so you can optimize the skillsets your team members have with the tasks that needs to be done. A Communications Plan Matrix Template which an often-overlooked way to keep every stakeholder informed and involved in the project's success. A Detailed Statement of Work Template to fill out, share with your team, and ensure everyone is on the same page working toward the same goals. Project Mastery has been used by the CDC, the State Senate Office of Alaska, school systems, universities, and entrepreneurs across the nation. "Very nice training. Very useful. Easy to follow. Good examples. Seth and Mike make a great team. Nice job!" "I liked the real-life examples from the instructors." Overall, this course is rated 4.6/5 stars from dozens of students… and we haven’t even come close to finishing all the improvements we want to make to this course yet (improvements you’ll get for free as we release them in the future! We don’t offer this course to everyone. It’s exclusive. ONLY folks like yourself that have gone through my Proven Project Management Lessons Email Course get access. And when you get access, it's for a lifetime. Oh, and any time we make an update, you get instant (and free) access! When you purchase this course, you immediately register your login information which you can use to gain lifetime access to all videos and materials online. Download any or all of it. Print them and use them on any project now or in the future! Don't like the course? Just email us and we'll give you a full refund, no questions asked. In fact, we'll take it one step further. If you request a refund, we'll not only send you all your money back, you can keep whatever materials you downloaded AND we'll send you a $10 Starbucks gift-card so you can grab a coffee and forget about us! There's absolutely nothing to risk, and everything to gain. If you don't master this now, how much time and money will you waste? Do you continue doing your best, hoping for success, dealing with chaos and fighting fires? Do you spend a few productive hours (less time than you spend in useless meetings each week) learning the fundamentals making any project successful? If you wait, you can be sure of only one thing: The results you've achieved in the past will be the results you achieve in the future. More of the same, no better (and maybe worse). However, if you commit, learn, download and use the templates, you'll have the chance to positively impact the outcome of your organization, the happiness of your team, and the personal satisfaction that comes with crushing every project in your life. Take advantage of this offer at this introductory price. Even if you can’t start the course now, you can immediately download the templates and have lifetime access to progress through the course at your convenience, at your pace, anytime in the future! How much money could you save in the next year if you mastered project management now? Your next project runs over budget and you waste $500? $1000? Your next project finishes late and you lose $1000 in sales? Maybe more? We would normally charge $5,000 (not including travel expenses) to train entrepreneurs and business owners like you these concepts. And that's a reasonable price when you think of how this systems has saved these folks so much money, time, wasted effort, and frustration. A method for planning your project through to a successful completion. Tools and techniques to manage stakeholders so they help (and don't derail) your project. A way to scope your projects to prevent schedule and cost overruns. How to successfully land your project and bring it to a close. Today, we're offering Project Mastery for a one-time payment of ($̵1̵9̵7̵) $97. That's less than you'd spend on dinner and a movie on a night out! Even if you only saved 10 hours of time and made an additional $1000 in revenue by getting your projects done on time, that's an investment in yourself that could net (literally) 10 times the money spent over the next year. Per year. Every year. For the rest of your life! 4 Hours of Exclusive Video Lessons on the Fundamentals of Project Management - Get organized, build a plan, manage your stakeholders, avoid risks, and FORCE your next project to succeed. Quizzes and/or Activities After Each Lesson - Solidify the fundamentals of project management after each lesson with a quiz or activity (sometimes both). Project Management Toolkit - With a quick reference guide and 7 project management templates to streamline your next project. Lifetime Online Access - Move through the lessons at your own pace, on your own time, anywhere with a web browser and an internet connection. 100% Satisfaction No-BS Guarantee - Don't like the course? Email us and we'll send you your money back PLUS a $10 Starbucks gift card! Massive Discount - Save over $4900 over an in-person training and get our introductory, one-time discount reserved ONLY for our "Project Management Lessons" email subscribers. Get Immediate Lifetime Access for ($̵1̵9̵7̵) $97! One-Time Payment. No Recurring Billing Charges. 30-Day Money Back Guarantee. Online. Access the course anytime and from anywhere, so long as you have a web browser and an internet connection. You have lifetime access to all course videos and materials online. Take as much or little time as you want. Come back and reference the materials long after you complete the course. Download any or all of it, including the videos! Print the tools and other materials and use on any project in the future. Will I get updates to this course? Yes! Any updates we add to the course in the future will be yours, free of charge. Learn and grow with us! Absolutely. In fact, we encourage it! Here's what James Puckett had to say about our customer service: "Thank you for your very prompt response and thorough email. I appreciate the excellent customer service!" I hope you found my article on getting free press and increasing SEO by using HARO helpful. Here's a free checklist to ensure you don't forget an important element of your next HARO response... Maximize your chances of success at getting free press! You won't have to wait. Download immediately! Get Focused. Stay Healthy. Take Control. The 1st (and Only) Course to Focus on Building a Focused, Healthy, Sustainable Business in Just 5 Days. 1. Five short (less than 5 minutes each) lessons on strategy, leadership, marketing, etc. 2. Strategic Planning Template to get you focused on what's most important. 3. Product Justification Template to build a wildly successful product. 4. Five cheat sheets on the most critical aspects of running a business. 1. By bringing order to the chaos of running a business. 2. By focusing your priorities on goals that will get results. + Find out if you are an absent leader, a fake leader, or a real one. + Learn how to build a committed, accountable, productive team. + Discover the (backwards) way to market your products and services like Apple. 5 short lessons over 5 days plus weekly coaching tips from our small business experts. One last, important step... Please confirm your email address using the email we just sent you. It may take a few minutes to arrive. In 3 simple steps, we'll reverse course so you can build a loyal, repeat base of customers. Michael Mehlberg helps small businesses owners achieve their goals and live their passion through nearly 15 years of technology, corporate strategy, product development, marketing, and sales expertise. 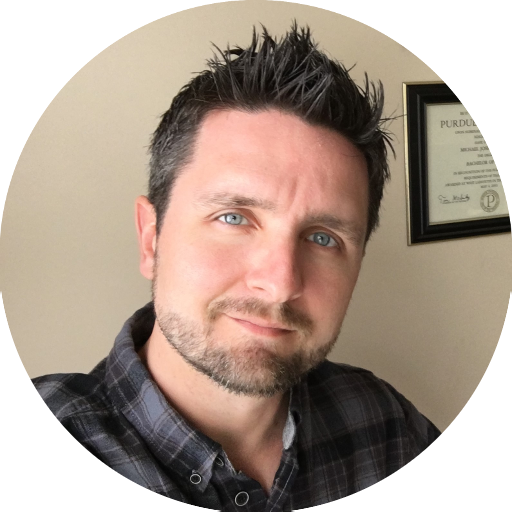 Seth Sinclair is a leadership coach, management consultant, trainer, and facilitator with a passion for helping his clients achieve their personal and professional goals. Do You Want Respect and Results? These are the 14 qualities remarkable leaders use to get the best out of their employees. In 3 short steps, you can build a concrete business strategy to align your mission and vision with your passion and your customers desires. You have an incredible business opportunity at hand. But if you don't take advantage of it now, your competition may steal the customers that are rightfully yours. You'll miss out on landing new leads, growing your pipeline, and building a thriving business. The opportunity? You selling more of what you already offer. And how do you do that? It starts with generating more leads. Not with advertising. Not with purchased email lists. Not with spending money in any way shape or form. It starts with good old fashioned (and a few new-school) lead generation techniques they don't teach you in business school. To generate more leads, download our FREE Lead Generation Toolkit. In it, we'll share 23 researched and proven techniques for selling more of what you already have, today! Tips three through eleven take less than 5 minutes to implement, and four others take less than 10. Don't have time to watch the webinar? You'll get the slides too. Skim through them for ideas and start generating leads today! Michael Mehlberg helps small businesses owners achieve their goals and live their passion. Michael has built up multiple small businesses from startup stage to acquisition, run Sales and Product Management organizations at large companies, and currently helps small businesses grow into the company their owners envisioned. I'm guessing you found my article (Sales and Selling for the Quiet and Introverted) helpful. Now you're looking for more ways to generate leads, land sales, and grow your business? My Webinar on 23 Ways to Get Leads and Grow Your Pipeline (Without Spending a Dime on Advertising). The slides that go along with this webinar (in case you want to save 45 minutes and skim through the ideas). A PDF of the 7 Best Lead Generation Tips on the Entire Internet (so you don't miss out on how the sales pros are finding new business). I am a marketing and sales expert at Modern da Vinci, helping fellow business owners grow a healthy, thriving, and competitive company. Download my free lead generation toolkit (above) with 23 lead generation tactics to grow your sales pipeline (and your business)!